This article has been a long time coming. Because I’ve struggled with what exactly to say. At times, when I thought about writing it, I was embarrassed and ashamed that with ALL the training and knowledge I have, that I was even in this position. But illness is a great teacher and what it did was force me to dive into all the things I know, and then explore even more research, in order to heal myself. Which also allows me to have greater compassion and knowledge to help my patients. 2013 & 2014 – super busy work years. I had a full private practice and the waiting list was growing every week. It was an elephant in the room, in that your job is never done. People were so desperate for help, and it weighed on me emotionally. Looking back, I needed to grace myself that I couldn’t fix the whole world. I also didn’t take enough time off and didn’t have a work/life balance. It would be a leap to call myself a healer but those of use who serve for a living definitely need some down time. January 2015 – I was determined to not let work interfere with my own health and I was doing high intensity interval training and was up to a full 20 minutes with 9 MPH sprints on good days. I was feeling great. I say this because it’s in stark contrast to what is coming. February 2015 – I visited my mom and dad in Arizona and both of them tend as drivers to be heavy on gas pedal, and just as heavy on the brakes. Or maybe I was just starting to express symptoms. But I noticed car sickness while driving with them and it was the first time this had ever happened. March 2015 – we have reclaimed wood floors and live on a dirt road. Long story short, it was time to refinish them. It was an unusually warm spring and we knew we could keep the doors open during the day. Johny planned on using a fairly non-toxic finish all things considered. But life happened. The new finish had a chemical reaction with what was on the floor before; It bubbled up and we had a mess. He called in a flooring colleague and together they decided to strip it and re-sand it but go deeper, seal it, and then put the finish on. I tell you all of this because we didn’t plan on a super toxic sealer. Johny is pretty conscious of chemicals and our health. We had specifically discussed that we’d be able to have the doors open and that I’d work in town while it was being applied. But, as I said, life happened. The sealer was toxic smelling and obviously off-gasing. You could smell it across the parking lot at our shop when the doors were open. I did leave our home and worked in town during the days throughout this process. But by night, it had dried enough to walk on and we slept here. As much as I’d like to blame the floor sealer on what became months of “mystery illness”, I had a role in it too. These 4 things drive ANY chronic disease and I was guilty of not managing them well enough, especially in a vulnerable time. Stress – guilty as charged. Toxins – the floor sealer plus not making a daily effort to keep on top of the detoxification process. Infections (including stealth pathogens) – you’ll see later that most all of us carry EBV and his virus friends. Diet – I was eating eggs & dairy which add fuel to the inflammatory and pathogenic fire. But the reality is, most of us can only piece this together in hindsight. Johny had been fatigued and tested positive for SIBO after doing a huge remodel for our church in 2013, and his issues just continued. But now I was sick too. And although I’m a Medical Colombo for a living, I really didn’t put the floor sealer into the puzzle until months down the road. Maybe it was the fatigue and cognitive dysfunction already presenting itself but I really didn’t yet understand what had happened. Unplugging our router at night. We got high quality air filters. I bought us a grounding pad for our bed. I was researching water filters (we have a well). We went looking for mold, pulling back carpet in places it had been wet over the years. Johny used his moisture meter throughout the house, looking for walls that might be wet on the inside somehow, where we couldn’t see what was happening. We ordered a special cloth and “dusted” our house with it, and then sent it off to the lab to quantify the amount of mold spores it picked up. We also agreed to do serum testing for mold. Our doc ordered us a CIRS blood panel and also ran our genetics. Both of our CIRS panels came back with positive markers but also not a dead ringer for mold exposure. Something was going on though. And genetically, we both carry “the dreaded mold genes” and are high risk for exposure. We do have cows and their hay sits out all year, getting moldy. So I quit being a part of their feeding and Johny started wearing a mask when feeding. But we still didn’t really have all the pieces to the puzzle. We continued to do blood tests and brainstorm about what was going on. Ultimately, we ran the Western Blot test on me looking for Lyme. It was negative. But my doctor said that IgeneX Lyme test was superior specialty and so we did it too. The IgeneX Lyme test was positive. Again, like the mold, a mixed picture. One negative, one positive. But I did spend a few months thinking I had Lyme. It was disheartening because I know enough to know that there aren’t any solid solutions to Lyme. But it was also a bit of a God-send. Because I had been told I had Lyme, I started paying attention to Lyme research. Thus God had an open door. I believe with all my heart that He stepped in to stop the craziness. I saw an article suggesting Lyme was viral, not bacterial. It made sense. And the positive Lyme test? Viral casings. If what we call Lyme really is viral, no wonder people suffer with the wrong treatment (antibiotics) for years. No wonder Dr. Dietrich Klinghardt makes all of his Lyme patients get a Far Infrared Sauna. An infrared sauna raises the core body temperature, which is then like having a fever every time you use it….and fevers are our bodies way of denaturing the protein coat on a virus. It makes a sauna anti-viral!!! I dove into PubMed and found there is plenty of research supporting a connection between Epstein Barr Virus (EBV) and many health conditions. I went back and re-listened to old medical interviews. Based on all of this, I asked my doctor to run a Herpes Virus Titer panel, and I tested sky high for EBV and HSV-1. In fact, my titers were “unmeasurable” since they exceeded the reference range. For years, doctors and researchers have known that EBV and his Herpes friends are involved on some level. They truly just didn’t know if they were CAUSAL or OPPORTUNISTIC. This is critical so let’s make sure you understand. If EBV is causal in fatigue, MS, Lupus, Lyme, RA, Crohn’s, Ulcerative colitis, Hashimoto’s……. it’s a virus and we’d use anti-viral protocols to treat it and treatment would clear symptoms. Antibiotics for a presumed bacterial issue would not only fail, but open the door for the virus to further take advantage of the situation. It makes SO much sense to me. And I had been through it. Herbs failed at treating our SIBO so we resorted to antibiotics. And I felt like I was autistic. Noises and lights bothered me like never before. I was moody and sensitive. I had my answer and in my gut, I knew it was “the” answer. And this is really why I’m writing this article. I have no doubt that many of my readers struggle with multiple diagnosis’s and no true identified root cause. They have SIBO and other GI conditions. Fatigue. Skin issues. Auto Immune conditions like Lupus, MS, RA, Hashimoto’s, Graves, Crohn’s, Ulcerative Colitis. There’s research connecting EBV and his virus friends to all these conditions. It just hasn’t made it mainstream yet I guess. But it’s there. If you know anything about the Herpes family of viruses, you know that 90 to 95% of us have one or more forms of the Herpes family viruses. They never go away and are opportunistic so once the stage is set (toxins, stress, poor diet) they flourish and dominate. It is chicken pox as a kid and shingles in later years. Or so they say. It is cold sores when you are stressed. given the mold & chemical exposure. 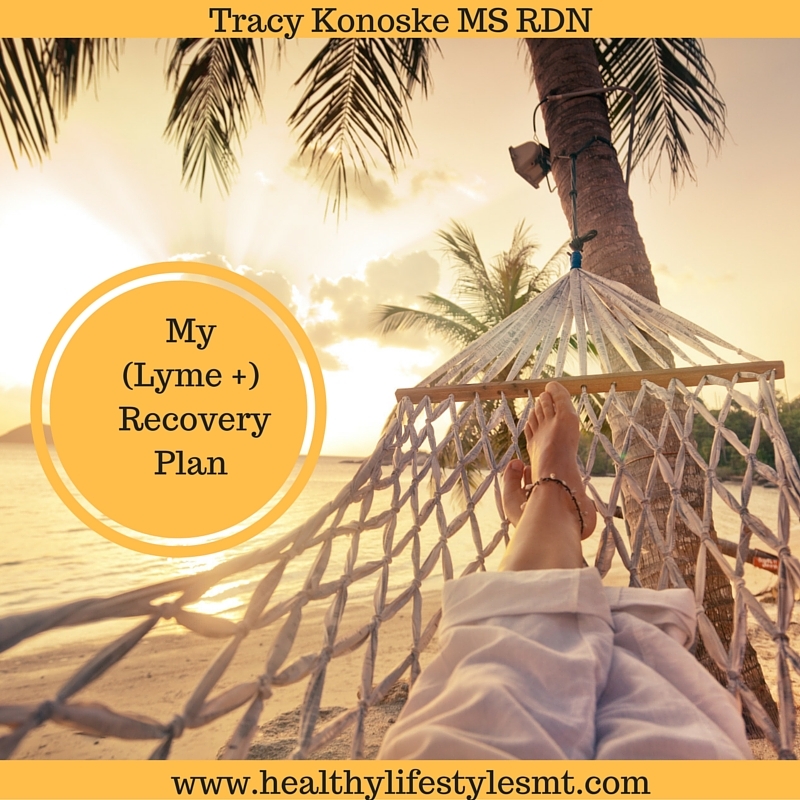 I guess ultimately I share this whole bag of information because “Lyme” is becoming an epidemic – or pandemic – and its the label given when we as health care providers can’t figure out what is really going on. I heard an analogy: It’s like a snowball at the top of a mountain. As it rolls downhill, it starts to take out utility poles. Then cars. Then homes. It’s the label you get when we don’t really know why you are sick. If you have Lyme, you’ve probably been told that antibiotics don’t work so well because its not really Borellia Burgdorfi that is the problem, its all his co-factors friends. That means we’ve been on the wrong road for years with our antibiotics and yet tactfully avoid saying that and now just say we have “more & better information”. If you have Lyme, you have also likely read that people test positive for B Burgdorfi but are 100% asymptomatic. Perfectly fine. Either B Burgdorfi causes Lyme or it doesn’t right? If you suspect you have Lyme based on symptoms, but your test was negative, you’ve also been wronged. Our tests just aren’t that good if we over or under identify who has the disease. In the end, I feel lucky and blessed that my viral titers were positive and matched the information I read. I had the real root cause and now knew what to do. I can make sense of it all. The fatigue was from the virus and all his neurotoxin secretions which my liver had to deal with. The SIBO? There’s a neuroscientist from Harvard currently trying to prove that EBV and HSV-1 infect the vagus nerve, essentially compromising its ability to secrete HCl & help us digest our food and stimulate motility. I’d bet money that when our technology catches up, we find this to be true. The quirky CIRS mold labs? I do believe mold was also playing a role. I wasn’t exposed daily but enough to add fuel to the fire. The Lyme mixed picture? At this point, there isn’t one cell of my being that believes I had Lyme and that B Burgdorfi is the problem. I do put 100% of the blame on EBV and his virus family. I can say that because the anti-viral protocol (herbs, teas, diet) has been profound and after months of mystery illness, my health changed fast. If you have multiple health conditions, have been diagnosed with Lyme, have brewing or outright auto immune conditions, I urge you to talk to your health care provider about viral root causes. Virus’s mutate and labs can’t keep up. Look at the flu shot (not condoning it at all). But Labs aren’t perfect so I wouldn’t put all your stock in the outcome. My advice? If you have coverage, run them. If they are positive, obviously treat. But even if they aren’t, what’s 4 weeks out of your life to try and anti-viral protocol. You WILL know if you are on the right tract. I was significantly better every single week. And no longer felt sick at 7 weeks. I bet you’ve tried a lot of things so don’t give up. There *is* an answer.